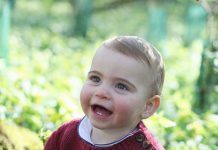 KATE MIDDLETON, the Duchess of Cambridge, 36, will be busy planning an incredibly lavish christening for third baby Louis. The child of Prince William and his wife will be christened using a £11,447 font. 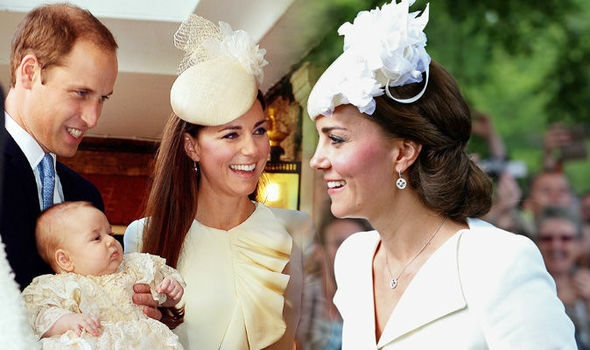 Kate Middleton and Prince William, 36, have three royal children. 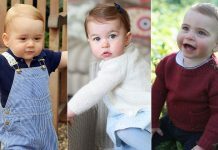 They are Prince George, four, Princess Charlotte, two, and Prince Louis, just a few months old. These three children have already enjoyed a life filled with lavish trappings that the vast majority of Britons will never see in their life spans. 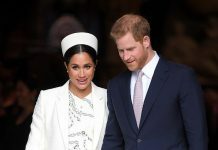 From living in Kensington Palace, flying on private jets and even being born in one of the most pricey private maternity wings, these three children live a life of privilege. 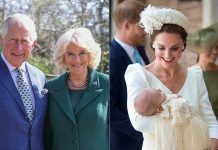 Prince Louis’s upcoming christening will be no exception to this rule. The Royal Family use the Lily Font for all their christenings. The incredibly lavish piece of kit is delivered to the church where the royals wish to have the event. This operation is likely to come at a huge cost, as the utmost care is used to make sure it is not damaged. This is understandable as the font is worth at least £11,000 in today’s money. 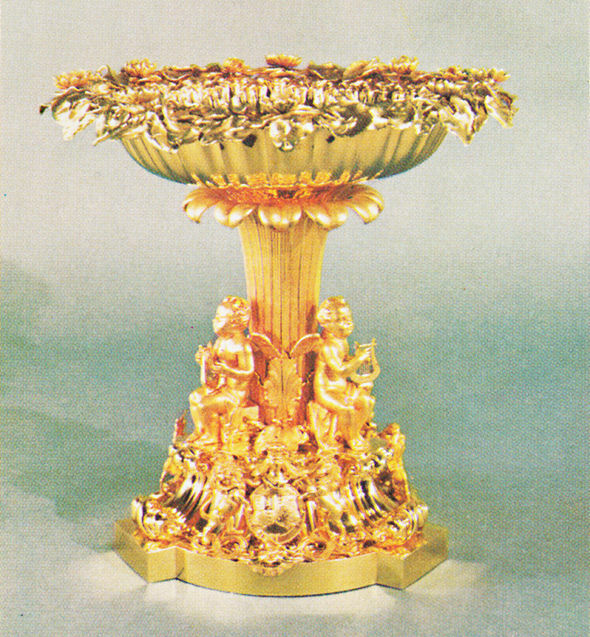 The 21 pound found is gilded in silver and has decorative lilies, cherubs and ivy on it. It was designed by Prince Albert in 1840 – and most likely a priceless artefact. The font would likely sell more hundreds of thousands of not millions of pounds if put up for sale now. However, the piece is not for sale. It was created when Victoria and her husband refused to use the font available at the time because it was commissioned by Prince Charles II. All his children were illegitimate, and so a new font was thought appropriate. 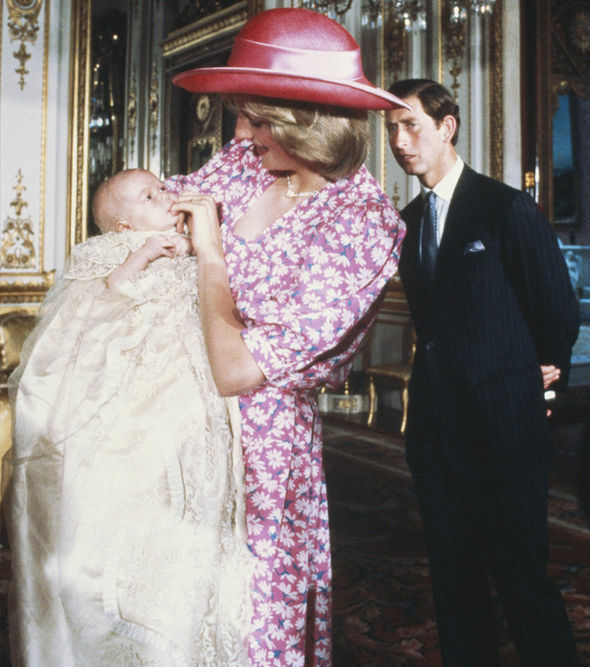 At the time it was created it cost Prince Albert £189, nine shillings and four pence. This was the equivalent of two and half years of work by a skilled craftsmen in the same era. Albert could have spent this cash to buy 12 horses or 35 cows back in the Victorian era. 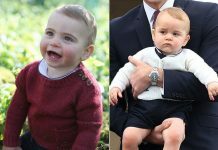 Prince Louis christening plans mean the day will differ from Prince George’s.